I’ve been meaning to post this for over a week now. I’ve finally made it through the LIFT 4 program! 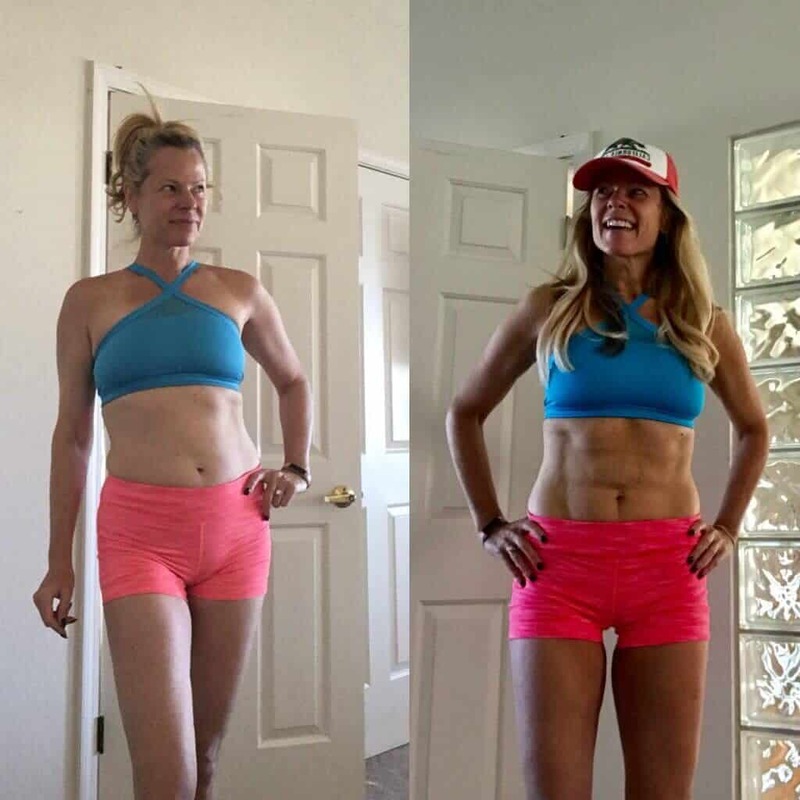 It took me an extra week as I was away in Tahoe for 7 days and didn’t have access to weights, but I kept up the running and at the end of the day, I saw the results I knew I was going to get – less belly fat. 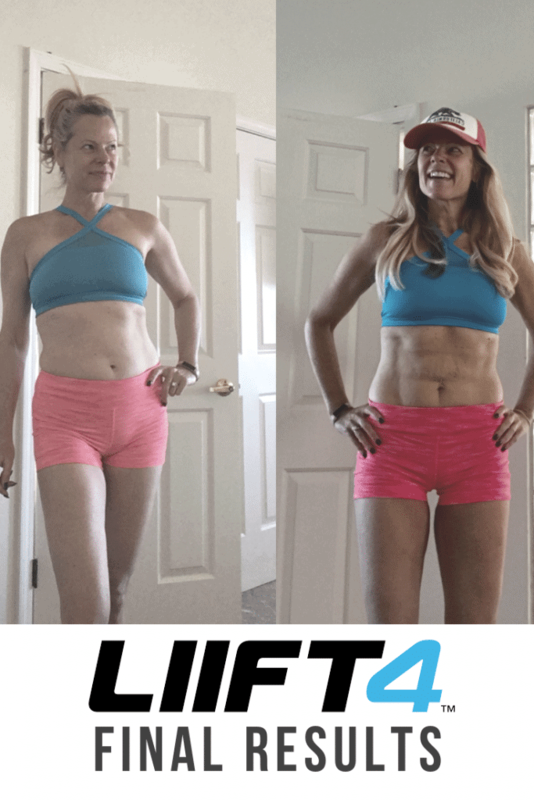 When I first told you about LIFT 4, I also mentioned that HIIT workouts are scientifically proven to be more effective at reducing belly fat than any other exercise. This also happens to be the area where I need the most help because I have an apple shaped body and my stomach is the first to place I gain weight. Now to be 100% transparent, I don’t think it’s exercise alone that gave me these results. I also made an effort to be more conscious about my nutrition. I didn’t make any major changes and I only loosely followed the meal plan that came with the program, but I did reduce snacking between meals and made very small changes like replacing one of my eggs for egg whites in the morning or delaying breakfast until 10 am. When I make these little changes along with doing the LIFT 4 HIIT workouts, I saw results. They’re not massive, but they’re definitely an improvement! I’ve been getting some questions about the workout which I’ll answer below, but the key thing to know about this workout is that it’s designed to optimize your workout time in the most efficient way possible. The workouts aren’t long, but they make an impact because it’s a powerful mix of strength training and high-intensity cardio. Time and time again I’ve found this combo to be most effective for burning fat. These are the answers to the questions you guys have been asking me throughout this journey. If you have more, let me know in the comments. If you want to sign up for my next group that’s doing this together in October, just fill out this form. If you want to do it on your own, that’s cool too. You can access the program right here. How Long Are the Workouts? They range from 29 to 40 minutes, but most are under 35. How often do you have to work out? Only 4 days a week, but I also went running on some of my off days because I have a habit of working out 5 to 6 days a week and I don’t want to get out of that routine. What if you’re a newbie to working out or you have bad knees and can’t jump? Not to worry, there’s a modifier for every workout and I took full advantage of it! What equipment do you need for the Lift 4? You can find all that right here. It’s not much. Do you need to be on Shakeology or the Performance Line? Not at all. Some coaches insist that clients purchase the full bundle of supplements with the workouts and while I do think they’re helpful, you can get results without them. Can you do LIFT 4 in a gym? Sure can, it’s like having a personal trainer anywhere you go. Just download the workout to your phone or iPad and off you go! What if I hate to lift weights? Then don’t get this workout. I would recommend Piyo or Core de Force if you absolutely hate lifting weights. What if you try the workout and you hate it? Return it. There’s a 30-day money-back guarantee (which I love), but I don’t think you’ll hate it. How much is it? $170 for the full bundle but there are other options (which you can find here). When does the online group training start? Oct 10th for 3+ weeks. Want to join? Bonus! Anyone who signs up for the program through me and completes the first 4 weeks of the program gets access to my habit-hacking program for free! Any other questions I can answer or help with? Just let me know.